I like that the Moose Pharmacy staff really cares about me personally and makes me feel important. I loves how they pack my medications. —Michelle V.
I love Moose Pharmacy and know they love and care for me and my family. I wouldn't go anywhere else to get medications. —Ricky W.
I have used Moose Pharmacy for 60 years. They have always been so helpful and gracious to me and my family. We are so fortunate to have a pharmacy like this. They are like family to their customers. —Della A. 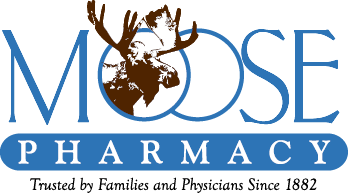 Follow the links below for iOS and Android, or find it in the app store by searching Moose Pharmacy.